Toggi Kodiac Jodhpur Boots with Steel Toe. The handmade Toggi Kodiac boot is a Protective jodhpur boot with a steel toe cap constructed to conform to the EN 20-345 safety standard. 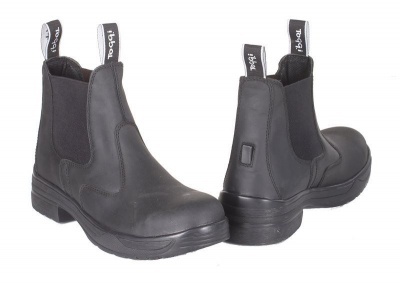 Featuring an anti skid rubber sole with steel shanks for enhanced safety in and around the yard.